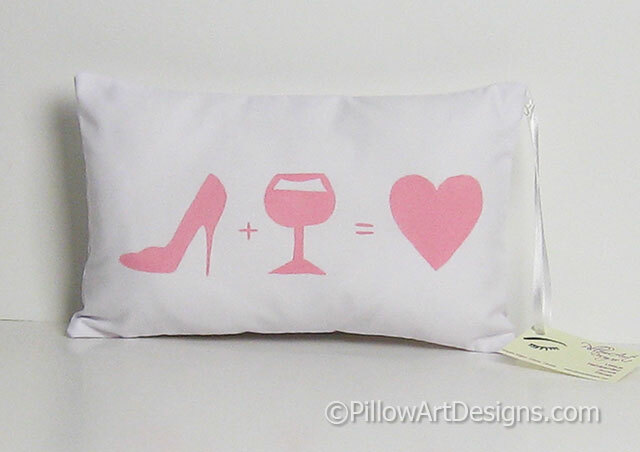 Shoes and wine lovers pillow, a cute little white mini cushion with a high heel, a glass of wine and a heart hand painted in pale pink on the front. 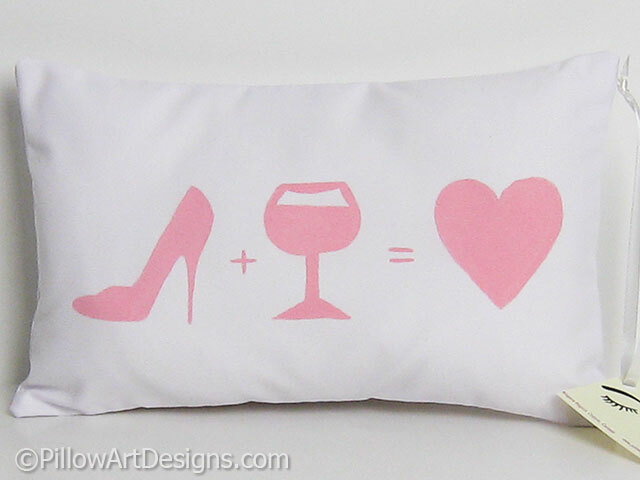 Makes a great little "something unique" for that person in your life who loves great shoes and great wine. Comes stuffed with premium hi loft polyester fiberfill, fabric is white cotton twill, envelope closure. 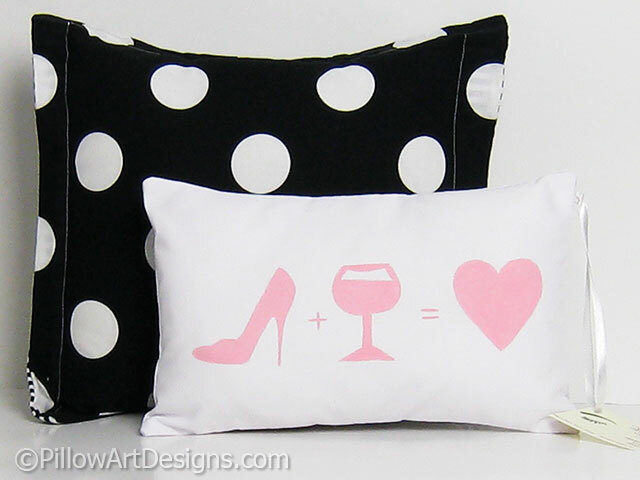 Quality fabric paint used, will not wash off, flake or rub off. Hand wash in cold (remove stuffing), lay flat to dry. Handmade in Canada by me, ready to ship.